I’ve been injured in a public space – but it wasn’t my fault? Can I claim compensation for my injuries? Indeed you can, and you might be able to claim for how the injury has affected the way you expected to live your life in the future. Your claim will come under the category called “Public Liability” which ensures that members of the public are covered by the insurance cover of councils, businesses or properties for accidents that they may suffer. Other categories not covered of course are injury from vehicle accidents (covered by The Insurance Commission of Western Australia), and from criminal injuries (covered by Western Australian Government Injuries Compensation Scheme). 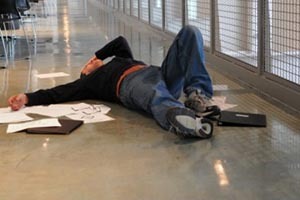 So what types of injury can I claim for under “Public Liability Insurance”? You will have realised from the above list that no two claims for injury are the same and that you will need someone with a varied experience to advise you in negotiating the maze of complexity surrounding your claim. What will a lawyer do for me in progressing my claim? The first thing to be done is to prove that the entity responsible for the location of your injury “owed you a duty of care”. Once it’s established that they have such a duty and that you sustained injuries then a claim can be initiated. Because of the above you were injured and suffered loss – be it physically or financially. What can I claim for, and who pays? You can claim for more than just the physical costs of injury if appropriate to your circumstances – medical costs already incurred and projected forward, loss of earnings, loss of enjoyment of life – whatever your lawyer deems should be included taking account of similar cases. As to the question of who pays the compensation, usually the actual business, person or organisation will not be affected by your claim as it is the insurance companies of those entities that will undertake the negotiation and make any final payout; by law these entities must take out public liability insurance to cover such contingencies. When must I make my claim, and how long is it all going to take? Your claim should be lodged within 12 months of the accident or injury, notwithstanding that your claim is valid for a total period of three years, but there’s no time like the present, and it’s often easier then to remember all the necessary details. As to how long it’s all going to take – well of course it all depends on the nature of sustained injuries, the entity responsible and the insurance company engaged by the entity, but a reasonable expectation is that the matter should hopefully be cleared up within two years, but there are always exceptions. You will however, have to either settle your claim within three years or alternatively have a District Court Writ issued within that three year period.